Attractive, vibrant, affordable, diverse and economically successful transit-oriented communities are a foundation for a sustainable urban region and the vision for the new BART stations areas planned for the cities of San Jose and Santa Clara. As part of VTA’s BART Silicon Valley Phase II Project, VTA has initiated a study to identify strategies to develop housing and commercial space near three future BART stations (Alum Rock/28th Street, Downtown San Jose, and Santa Clara). 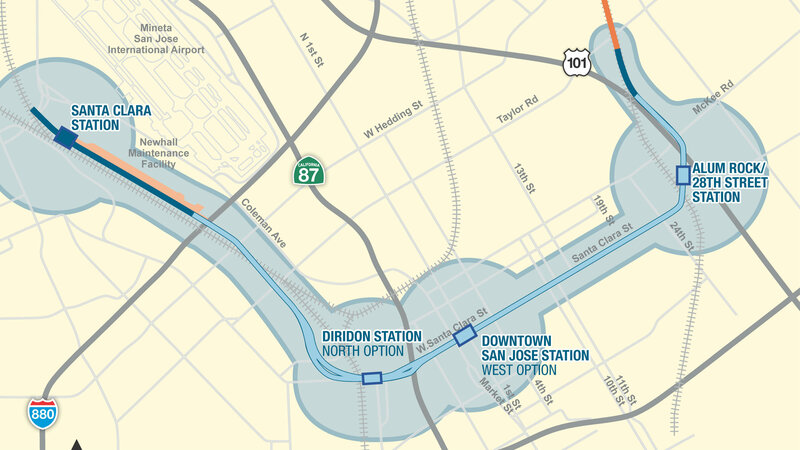 A similar effort for the Diridon Station area is being conducted as a separate effort. The FTA funded study is known as the Transportation-Oriented Development (TOD) Corridor Strategies and Access Planning Study, also referred to as the TOD/Access Study. Working with BART and the cities of San Jose and Santa Clara, the 15-month study will support and implement local community visions for station development. It will focus on feasible and implementable land use strategies and financing tools to maximize transit ridership and TOD. For more information, please visit the TOD/Access Study webpage at http://www.vta.org/bart/tod-access-study.